ALS usually strikes people between the ages of 40 and 70, and approximately 20,000 people in the U.S. have the disease at any given time. See the full size graphic HERE. 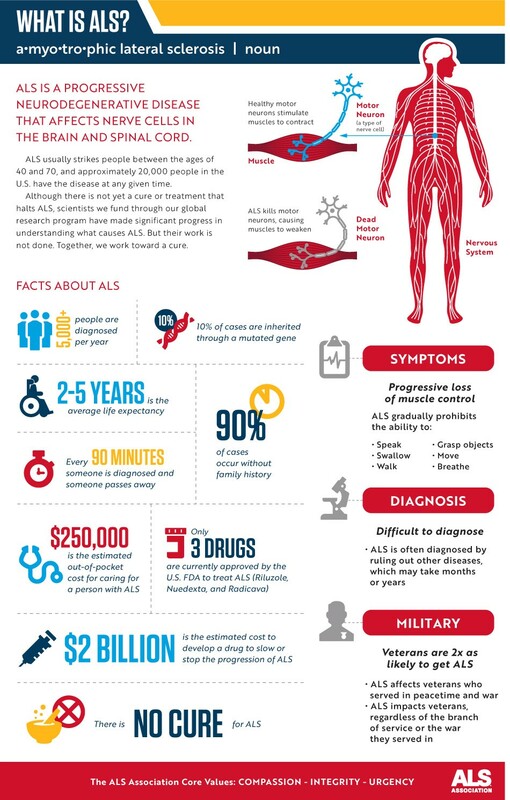 This entry was posted in ALS, Health Issues. Bookmark the permalink.